This article will equip with the tools needed to surpass your friends and minimize the grind needed to get to a high level. Obviously some grind will be needed. However, these 50 tips are some common mistakes I see people making and can enhance your gameplay. Anyone of any skill level should read this list. Shoot an enemy who is about to throw a grenade in the hand to make him drop it. Use SHIFT to switch the shoulder you shoot from. This allows you to shoot around a corner while exposing less of your body. Meaning you die less. How doesn’t want that? Use the skill key again after a skill is deployed to cancel it and start the cooldown timer sooner. This is great if you melted enemies a lot faster than you expected. The faster cooldown allows you to engage other enemies with every tool at your disposal. Equipped mods don’t count towards inventory space. If your backpack is full then equip mods to guns that you aren’t using. Those mods will no longer take up space in your backpack. When you engage a new group of enemies always take out the rushers first. This way you stop yourself from being forced out of cover. Pair up when in a full group. Send 2 guys down one flank and the other 2 down the other flank. This allows you to flank but also always have someone who can revive you. If you don’t pair up, then stick together as 4. Do not split up into individuals. This can result in a downed player too far to revive again. Barrel mods affect your threat level. This means that you can make a gun attract a lot of attention so that you can gain aggro as your teammates flank and do a lot of DPS. Frag grenades seem the most useful but often they are not. The best grenades are the ones that force enemies out of cover so that you can shoot them with your gun. This often does more damage than the frag would. These grenades are shock, incendiary, flash, tear and gas. Always focus on the low health enemies. If you have been shooting at someone and they are almost dead, don’t switch targets. Put them out of commission. Low health enemies will still shoot at you and you need to reduce the amount of threats you have to deal with. I find that the Recovery Link Signature Skill is the most useful. It allows you to revive all of your team members and over heal those that are not down. This is great for people that are too far away to reach otherwise. Yellow hit markers mean that you have hit a weak point. If you keep hitting this point it usually results in an explosion. For the Cleaners with tanks, you’ll cause the tank to blow up. For Big machine gun guys you cause their ammo pack to go boom. Grenades go boom. And on and on. Snipers do not have a weak point (besides their head). Healing skills are the most useful skills. They are basically recharging Medkits. This allows you to heal yourself continually without having to restock. The best way to earn Phoenix Credits is to do Challenging Missions. Over and over again. Each mission can be done in a relatively short amount of time (with a good group). Challenging missions give you 30 credits but the 1-4 that the boss at the end drops. You can also get some decent equipment. 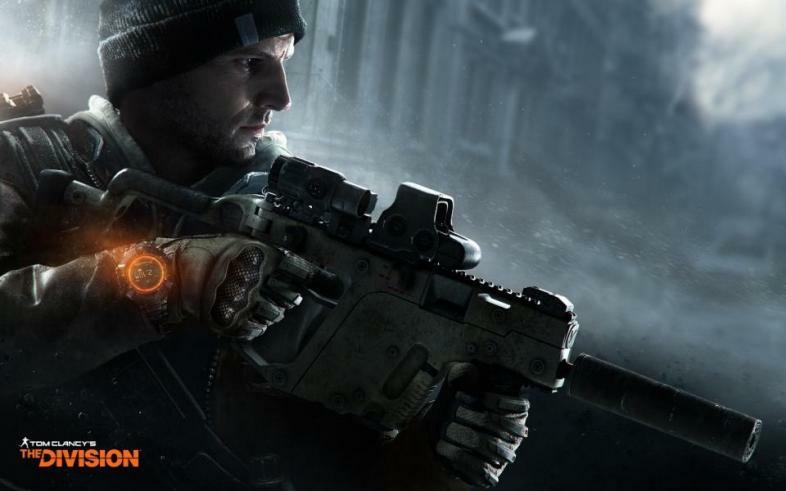 The Division was built to have different classes but so far I have seen only 1 actually works well in every situation. High DPS and medium high Health with Skill taking a back seat. In the end game don’t bother opening boxes and containers you find. They contain gear that is too low level for you. They can be useful for breaking down for parts but unless you are strapped for parts don’t bother. Communication is key. Have a mic. Even if the other players don’t. This is great when you are playing with some boneheaded teammates. Some just don’t have situational awareness and won’t see the guy rushing down your flank. Using a mic lets you tell people what you see. But don’t be annoying. You might get muted. Most games you go for the boss first. 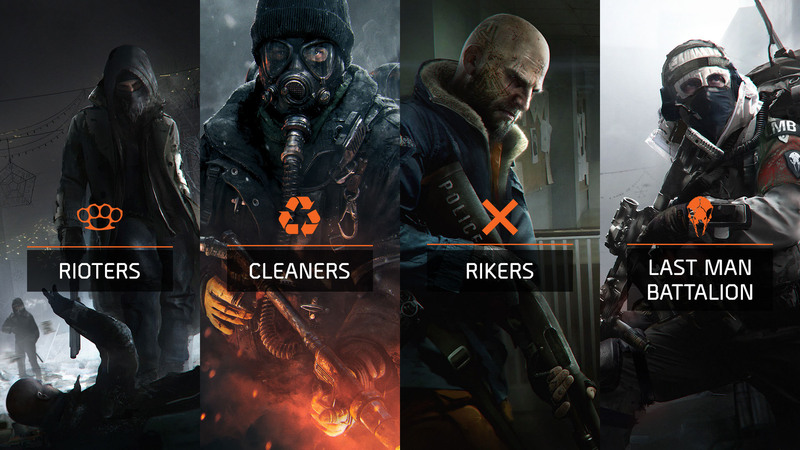 The Division is not most games. Kill the minions that are trying to flank you first. Then you can hunker down and focus on the boss. Sets may seem tempting to deck your character out in. But you have to look at the other things that they offer. They offer some special stuff but rarely is their armour up to par. 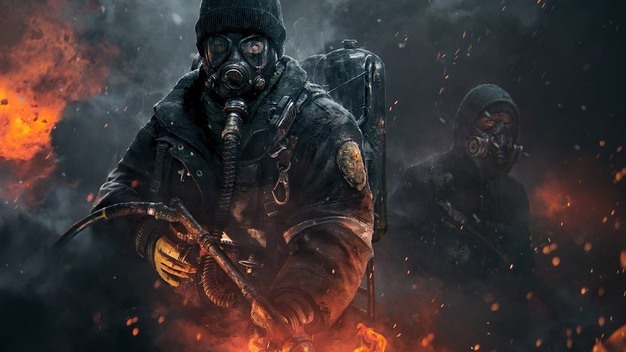 Most games you should never turn your back to the enemy. It is much better to full out sprint to cover. Sprinting requires you to face the direction you are going. But turning your back to the enemy is better than getting melted out in the open. The “Character” Screen is very useful for looking at all your stats. This allows you to properly get a good look at all the complicated stuff that is going on. On PC you can use SHIFT or CTRL to select multiple items and send them to the junk all at once. Use the sticky bomb to check for enemies around a corner. This way you can see if you should get a better position and you don’t get ambushed. See that red line? That will tell you if enemies are around a corner. First Aid heals in 2 doses. If you want full advantage of what it has to offer, stand still for a second and let it give you both doses. But if you just need quick health while running then that may not be the best time to stop running. Just take the first dose and keep going. Lincoln Tunnel Checkpoint: you can skip the first engagement of the mission by hugging the right wall and following that until you have to clear the enemies at the mouth of the tunnel. Lincoln Tunnel Checkpoint: When you are defending the person defusing the bomb. Don’t kill the last enemy of the wave. This prevents a new wave from getting sent and you can just run down the timer. Lexington Event Centre: When you first enter the last stage where the boss fight will take place there are 2 snipers at the back of the room. Rush them. Snipers are always easy to kill and it gives you the ability to free roam the room. Falcons Lost Incursion: Stick to the generators on the right side (facing the APC) room. Have everyone on your team equip Support Station and you can unlimited health regeneration will also maintaining the upper ground. Falcons Lost Incursion: Alternatively you can go to the dip in the centre of the room. This will give you good protection from the APC but leaves you vulnerable to the shotgunners. NOTE: I have completed the mission both ways. I prefer the generators. It allows you to finish it faster and in my opinion it was more controlled and less hectic. The Dark Zone (DZ) is huge. If you find yourself being overwhelmed by enemies, just fall back. It’s amazing how often I see people hold their position and just get run over by people. 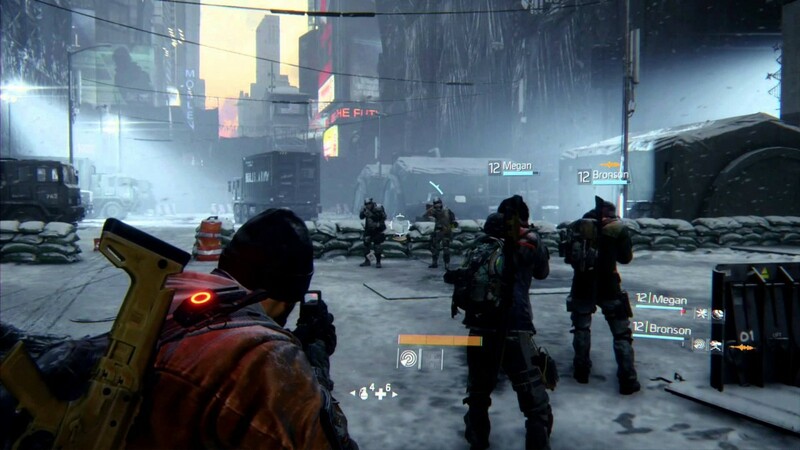 Always have good situation awareness in the Dark Zone. ALWAYS. Know where the NPCs are and keep a constant eye out for other players. If an NPC just lost a massive chunk of health while you were healing then you know that there are other players. Evaluate the risk and act accordingly. One way to achieve this awareness is whenever I have to reload I look behind me and observe my surroundings. I have a small mag though so this allows me to do it a lot. Do your reconnaissance in the DZ before engaging enemies. There might be another group of NPCs lurking around the corner. If they hear your gunfire they will come running and now you have double the enemies to deal with. That being said. You can use this to your advantage. If you know there are 2 groups close together then you can attack one and the other will come running. They see each other and start killing each other. You simply hide and wait to kill the winning group and collect loot from all. In the DZ do not equip stationary skills. That means don’t use the Support Station. You won’t be in the same spot long enough to make it useful. If you encounter rogues you should also be highly mobile. Another DZ Skill that is very useful is the Sticky Bomb. For the aforementioned property of corner peeking. But also because it is the hardest to dodge by players. The Turret is too stationary and the Seeker Mine is too easy to for Players to dodge. The Sticky Bomb is your best offensive bet. NOTE: I run the Pulse and First Aid skills with the Recovery Link Signature Skill. This is because my Vector is all about Critical hits and the Pulse gives great crits as well as information. When you are about to extract use your Overheal First Aid and shoot it at the ground so that you over heal. This gives you a better chance of surviving a surprise attack from other players. The DZ is quite useless once you get above Gear Score 170. The equipment required to advance you is just too far and between. I find Missions to be a much better use of my time. A route will give you the best use of your time in the DZ. When I do go in there I keep to the Zone 06 and hit the “Q Building”, “Midtown Music”, “The Pit”, and then get to the Extraction Zone through the subway systems. Rinse & Repeat. AoE explosives should be avoided if you are killing NPCs with players not in your group. They can cause to inadvertently go rogue by also damaging the other players. If you want to go rogue but do not want to suffer the consequences there is a way to trick some players into going rogue for you. Shoot 1 low damage round (SMG, Assault Rifle, LMG) into a player. This will not cause you to go rogue. But may scare him enough that he opens fire on you. Making him go rogue and allowing you to kill while maintaining the appearance (and status) of a good guy, A word of caution. Players may be in a group and are likely to seek revenge. 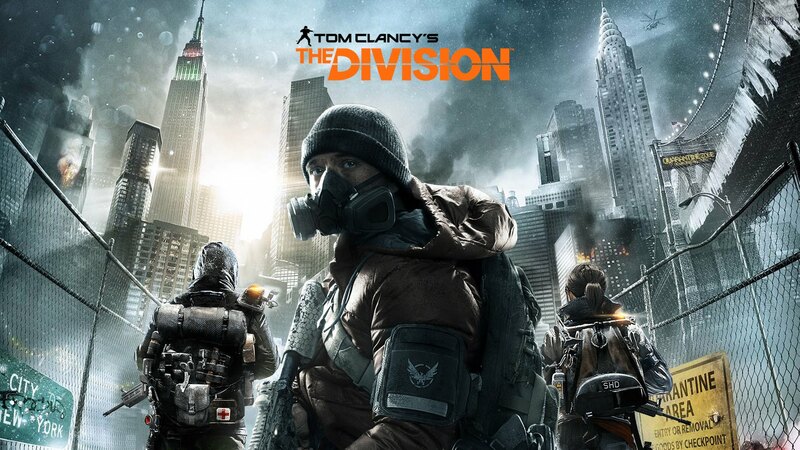 I hope these tips helped you conquer The Division and will let you master the Dark Zone and reclaim New York City.